This was a slightly different project for us. 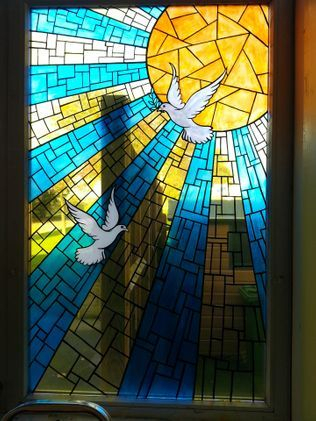 Rather than painting on to walls, we decorated the windows of a Barracks Chapel using glass paint. 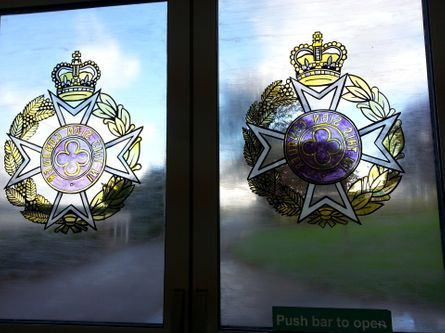 The Padre wanted the regiment badges as well as some religious imagery, to show that the chapel was a place of worship. 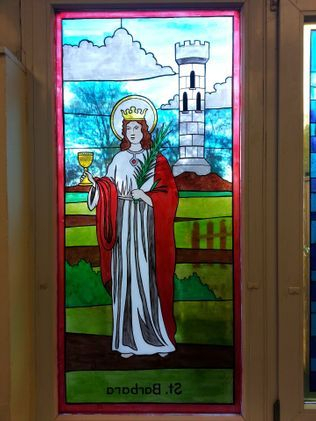 She also asked us to include St Barbara, the Patron Saint of Artillerymen. 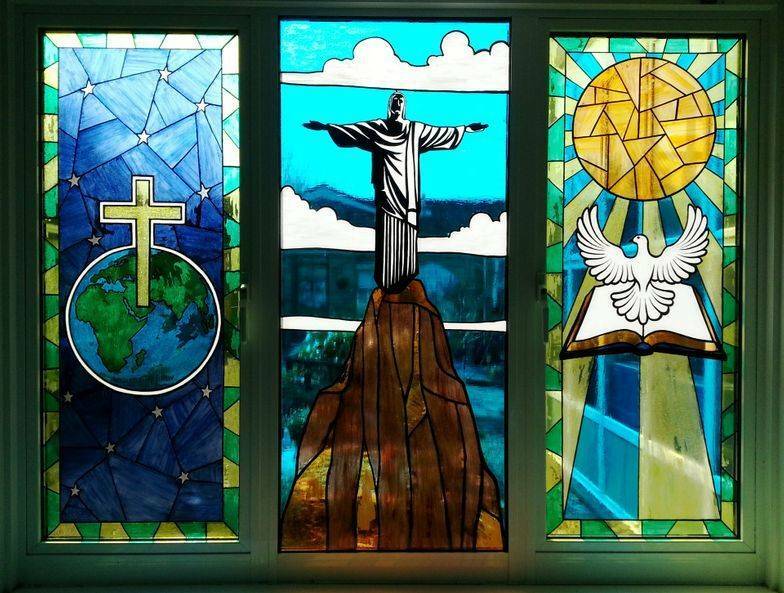 to complete all seven windows took us around 7 days. 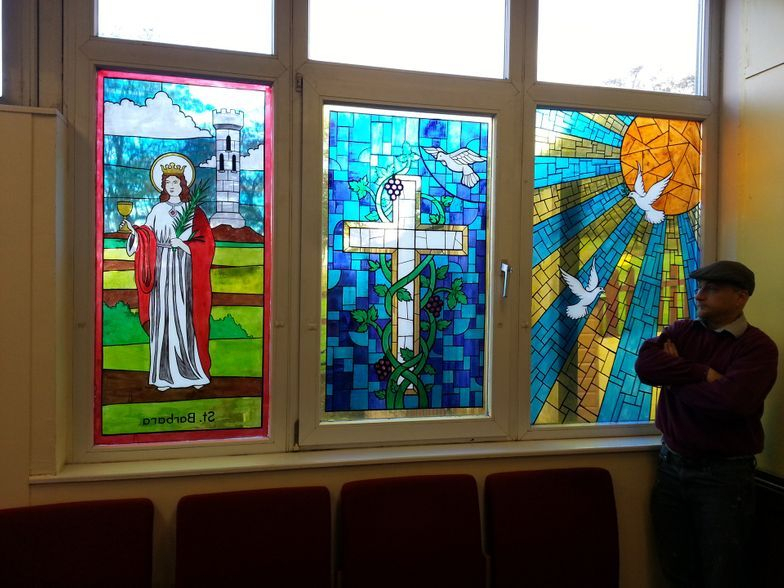 Below are some painted windows that we produced for St. Annes Catholic Primary School in Basingstoke for their prayer room. 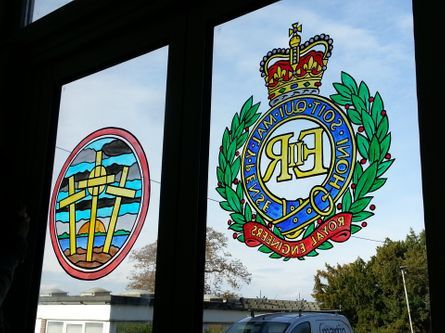 These designs are quite simple, but sue to the right colours and clear lines are very effective, especially in a primary school setting. These took us four days to complete.